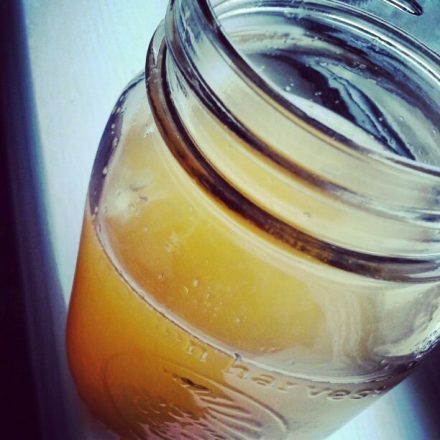 Over this past year I’ve written a few guest posts about the benefits of Kombucha. You all know I love it! And I could talk about it all the live long day! It truly has been a gut lifesaver to me. 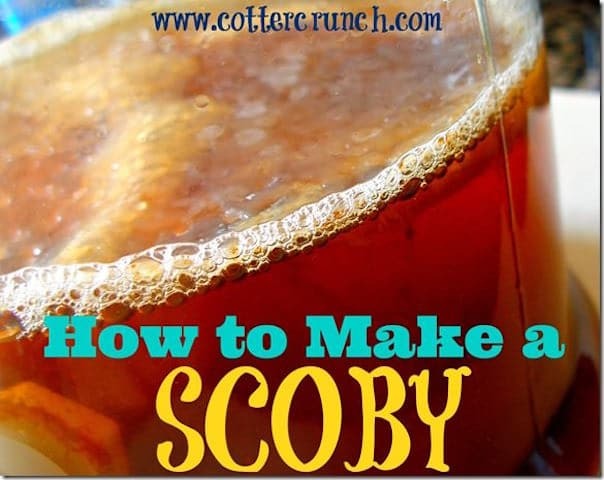 What I didn’t realize is that I never really finished my “how to make a scoby” post and I was receiving a lot of questions about how to go about it. But what is a SCOBY you ask? Great question. Scoby stands for Symbiotic Culture of friendly Bacteria and Yeast. This culture metabolizes the sugar and organic tea (that use to make one) and that resulting in your KOMBUCHA beverage. 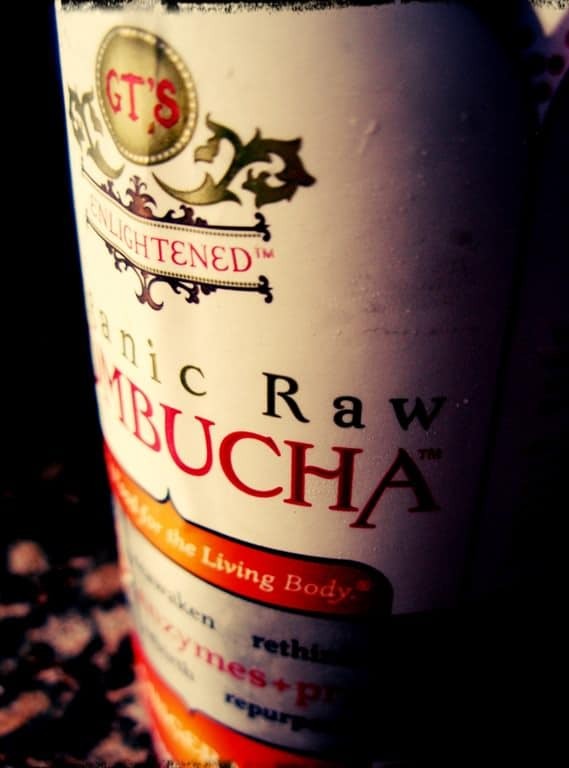 A drink that contains billions of probiotics, vitamins such as B, C, amino acids and enzymes. So today I thought I’d write out all the step by step SCOBY making process and then let you ask questions. It can seem a bit daunting at first, but trust me, it’s easier than it sounds. Plus once you have a scoby, your pretty much set to keep brewing! 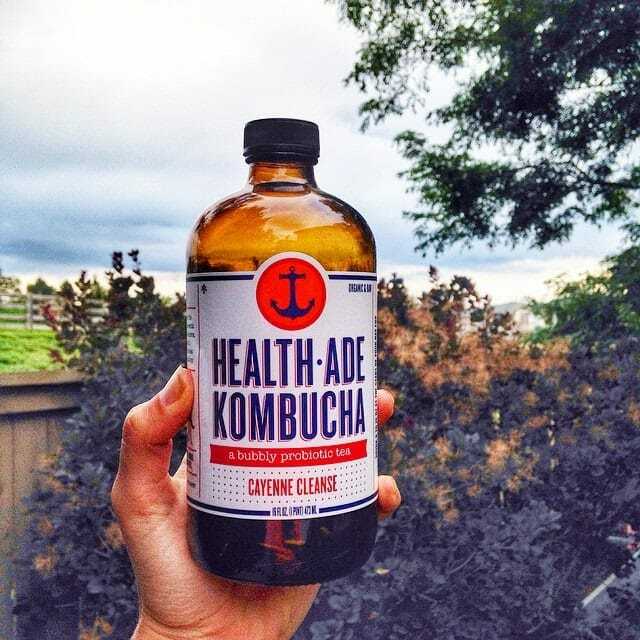 -select a bottle of plain or ginger flavored kombucha. I usually go with Original GT Kombucha or Gingerade. It must be a RAW brand. Try to find on that has extra “culture.” Meaning,l lots of yeasty floating objects in it. and it must be raw. You will need to use about half the bottle, so feel free to drink some of the kombucha but least the stringy sediment in the bottle. And you must let it reach room temp before using. Note: DO NOT USE ANY METAL when doing this. It will harm the yeast. I use plastic, wood, or glass cooking utensils. 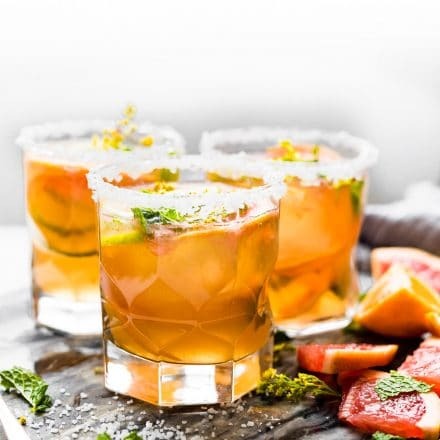 – make the first round of kombucha food. In a small saucepan, bring 1 cup water to boiling. Add two tablespoons sugar, and return the liquid to a boil until the sugar is dissolved. I used cane sugar or turbinado sugar. Turn off the stove and then add one bag of organic black tea (or a tablespoon of loose-leaf) and let the mixture cool at room temperature until it no longer feels the warm (very important). Also NOTE: Organic tea works best. NOT earl grey or English breakfast though as they have a slight bit of oil to it. The one below is from Swanson vitamins. Your sediment from the saucepan , the half-cup of kombucha liquid, and the stringy things (these will turn into the kombucha mother! ), and put it all in a glass quart or pint jar. Cover the jar with a cloth/towel and a rubberband to keep bugs out. Then place it in a warm, dark, safe spot. Note: that the kombucha liquid is needed to keep the mixture propelry acidic. If the liquid is not acidic, mold will grow. Keep an eye on your kombucha jar. In a few days or a week, it should star to grow a thin film over the top. The film will thicken and become the kombucha mother. If any mold appears, then just start over. When the film gets to be about an 1/8 of an inch thick, you’ll need to give it another little more kombucha food. This time, make a quart of tea. 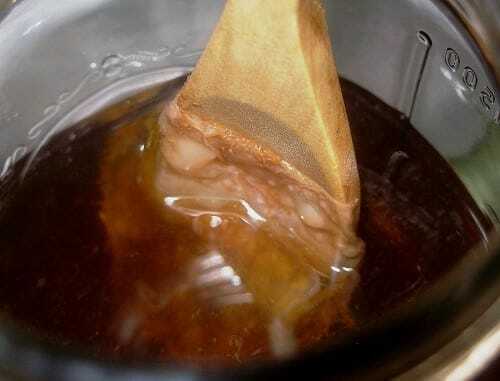 Heat four cups water to the boil, add 1/3 cup sugar, and steep with 2 organic tea bags or 2 tablespoons black tea. When the liquid cools completely, remove the tea. 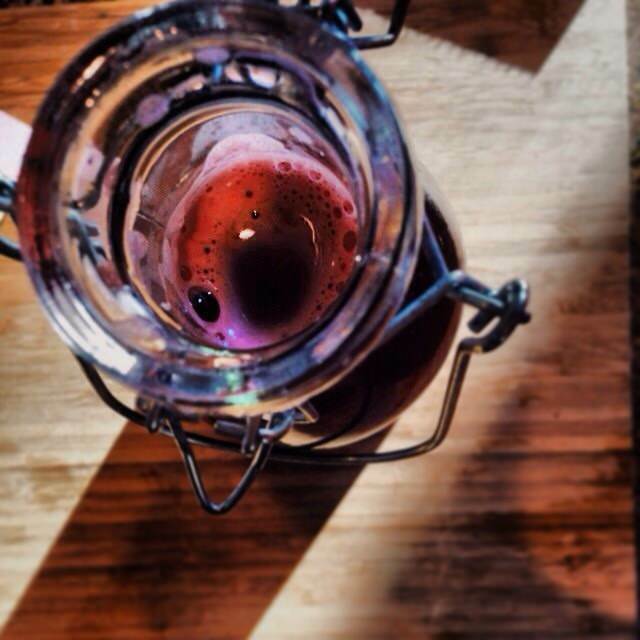 Gently place the baby kombucha scoby and all the liquid sediment in a larger glass jar or bowl with the tea. Cover it tightly and watch it carefully. The kombucha mother should grow significantly over the next 10-14 days. Once it reaches 1/4 to 1/2 inch in thickness, you can brew. 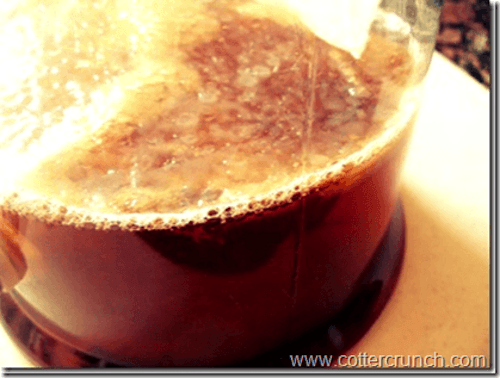 See my COTTER brew tutorial here. Feel free to email me with questions or leave comments below. And please let me know if you give it a whirl! p.s. 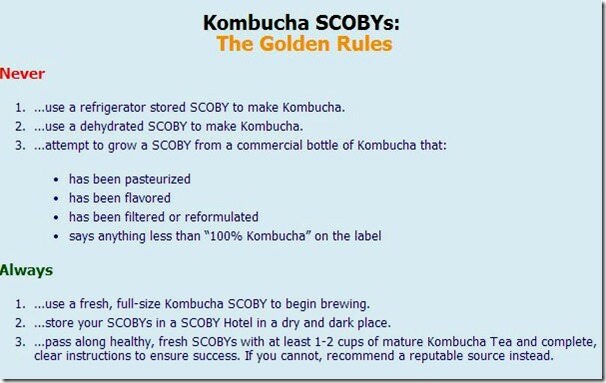 here’s a great SCOBY cheat sheet from Kombucha Kamp. Guard it with your life! Haha. Have you made Kombucha before? If not, here’s your chance! p.s. Check out Kombucha Kamp for lots more info on Brewing or if you’d like to buy a starter kit. But if you stick around the next few weeks, you just might win one when I host a starter kit giveaway! ← Grain Free Lemon Shortbread Pie and Pie Round Up! So awesome! Know I really understand the process so I can actually know what it is….yes, I was unsure before 😛 Thanks for the step by step Lindsay! You are a woman of many talents 🙂 Have a wonderful weekend! I am with you Tara. I just can’t. No, I’ve never made Kombucha. My dad did when I was growing up–at least I think he did. He had a big mushroom thing to make his–is that the same? All I know is when I first tasted Kombucha my first thought was, “this is Dad’s ‘mushroom tea’!” which is what we called it. The thought of it molding grosses me out and makes me scared to try..! Eek! How do you know if it’s mold and not just the happy film that it should be? I think I may try..! someday i’ll attempt this….. someday! Saving this to try… it’s on my to do list!! Interesting stuff, and I think Harry would love it! The fact they’re called the “mother” and the “baby” freaks me out, but I can rename it when I do it (i.e. “Bonnie” and “Clyde”). <3 Happy Friday, friend! Someday I want to try this…when I feel brave! 🙂 Thanks for sharing friend! I’ve always wanted to know how to do this! Okay it’s going to happen! Ever since my IBS flared up, I have been drinking one kombucha a day and they are expensive! But that’s because I buy the GT brand, which I think is the best. I looked at some other brands and I am not kidding you that the ingredients list had over 10 things in them, including “natural flavor.” OMG! This is great! I always had in my mind that I needed to buy a special scoby from somewhere. I have to admit though, I am still a little scared to give it a go…even though you make it sound quite easy! Nope, never made kombucha before, but I love the step by step process. Thanks for sharing and have an awesome weekend! This would be a fun project to do with the kids–making a great drink AND learning at the same time! 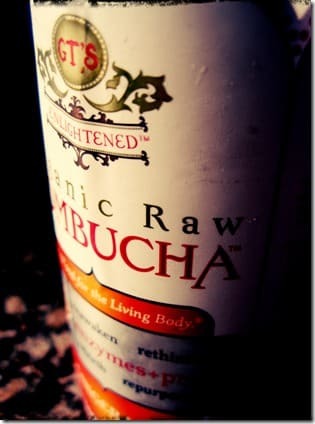 I’ve never tried Kombucha ever, actually! Crazy? Oh thank you, thank you! My husband just got into brewing beer and he said he would make me a batch of kombucha, but I might just want to do it myself. This post got me all pumped up! I have a SCOBY that has been in my fridge for almost a year since the last time I brewed some up. I’ve been having gut issues again lately though, so thanks to this post, I’m reminded that I need to brew some more up! I always forget though – green tea works also, right? gut issues? what’s up? let me know if you need any venting! Green tea works, but it has to be plain. Not the fancy green tea, like the zen. OK, I admit that I’m a little bit freaked out by doing this, but it’s something I’ve always wanted to try! Thanks for the info – bookmarking to try it eventually! You know I’m so going to do this!!! Do you know how long a scoby lasts in the fridge?? I tried making some back in October, and still have the scoby in the back of my fridge :-/ I’d like to try it again! hmmm, i never recommend them in the fridge because it’s hit or miss if they would come back to life. But set it out at room temp, add a little at room temp plain kombucha and see if it thickens over a few days. If it does, then go for it! I bought mine, but had read up on DIY before. It’s such a cool process! The thing that has surprised me is how it’s changed/gotten better as it ages. Mine is much more effervescent now. It definitely intrigues me to try doing this myself. Although I LOVE Rise kombucha. I think what I love about them is that the scoby is never in their drinks, so I definitely couldn’t use their beverages to try! I actually have a GT chia kombucha in my fridge right now, so that won’t cut it either haha. do it! and keep me posted. K? I love me some kombucha. I drank the Gingerberry this morning on my drive into work. oh it totally is!! no wonder we are on the same NURTURING page. Oh I love this! 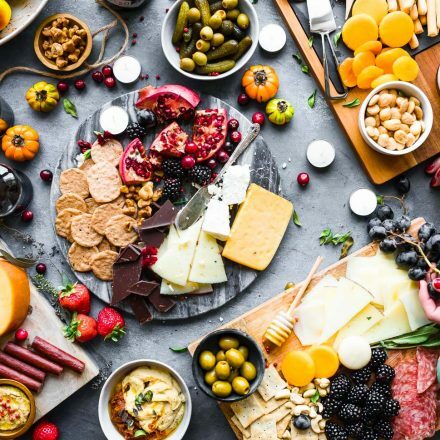 How about lots of yoga for kombucha and healthy bites? I’m so glad you posted this! I ordered a scoby but my first batch was horrible and the second got mold 🙁 So maybe if I made my own I’d have better luck! well keep me posted if you do! k? oh you won’t! i promise. It’s just intimidating, but don’t let it! Thank you for posting this! I have been wanting to make my own, but had no idea how! You are the BEST! I’ve actually never even tried it, I’m a bit scared of the floating stuff. This is so cool.. I wish I had the patience to make kombucha. I guess it’s one of those things I just need to DO instead of think that I don’t have enough time to ever try doing!! So cool to see a step by step guide! I love Kombucha, but never thought of making it myself. half bottle is the correct amount. I meant to say 1/2 bottle not cup. Does that make sense? Yes, thanks so much for getting back to me. I’m so excited!! I misread the due date on my bottle of kombucha, it said 10/6/14, I thought that was October, but after the eruption upon opening it, I realized it must have been June. Is it ok to use for the SCOBY? And since it was bad, I just used the whole bottle, I assume that is ok as well? And most definitely! So I forgot about my Scoby, it’s been growing since August 12, I just found it, it looks great, the SCOBY is about 3″, because it sat so long is it still safe to use. I see no spots of mold or anything, it smells exactly like it did the day I started growing it. I grew a scoby for a bottle of Kombucha, for 15 Days. It was about 1/3 ” thick. It was mostly a ruff looking opaque looking disk. I feed it, thinking I could drink some in two weeks. After thinking about it a little, realize I don’t have a baby, just a mother scoby. So after 3 days, I dipped a cup in the mother to retrieve a cup of the liquid, placed it in another jar and feed it with the cooled tea (a organic tea and a black tea and 1/2 cup of organic sugar). Smaller jar was covered and rubber banded. My question is will I be able to drink this batch by removing all of the liquid except for a cup, add the feeding solution until it fills up the container and flavor it with crystallized ginger…how much ginger should I use? And am I feeding the scoby’s correctly? Should I be doing other things to build a scoby hotel? Lindsay! Love love love your recipe. Started my mother 5 days ago and she is growing strong. Best starter tutorial I have ever used, shared your recipe on my food blog. TOO GREAT NOT TO SHARE! Can’t wait until my mother is the appropriate size to start brewing! Awesome photos, interesting article. Kombucha scoby is something new for me. Thx a lot for understanding all process!